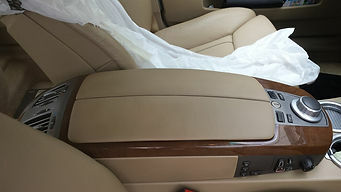 Home › Car Leather › Have your car interior leather restored by the professionals. 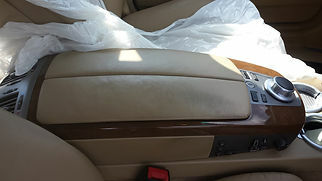 Have your car interior leather restored by the professionals. 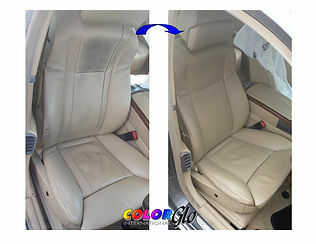 Color Glo continue to lead the market in Leather Restoration and repair. We are the only ISO9001 certified leather restoration and repair system. Is your car starting to look its age inside? Color Glo can breed new life into your interior. Aged, faded, worn and torn leather can be brought back to “like new” by Color Glo. Here is an example of a recent restoration we undertook for a customer. 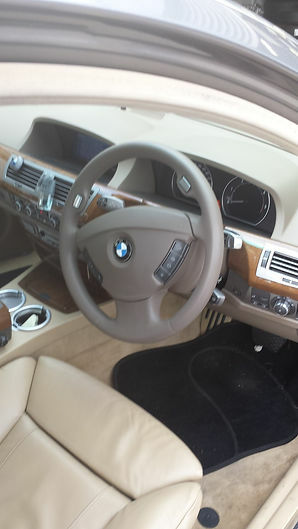 Just take a look at this typically worn and aged drivers seat of a BMW 7 Series with cream leather interior. 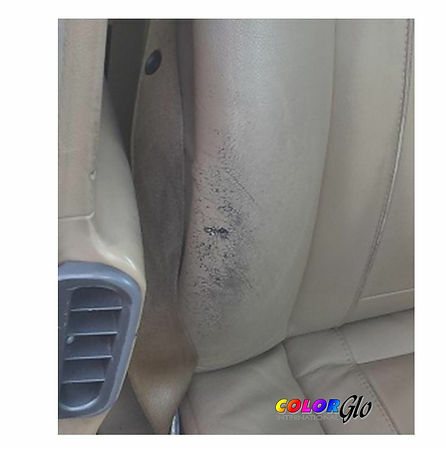 The seat had your typical discolouration and staining. The kidney bolster was even worn through as you can clearly see. Now take a look at the very same bolster after Color Glo repaired and restored it. Color Glo are a realistic alternative to replacement. And an alternative that saves our customers up to 75% on the cost of replacement. 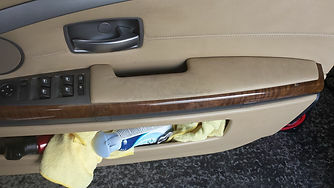 The centre consol of this BMW 7 Series was also worn and discoloured from the drivers elbow. No problem to Color Glo we restored it back to “like new” again. 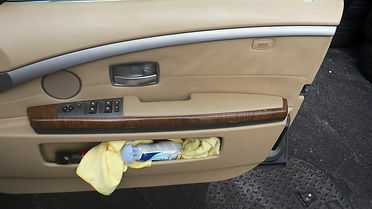 Another typical area to show signs of wear and aging are the door cards. 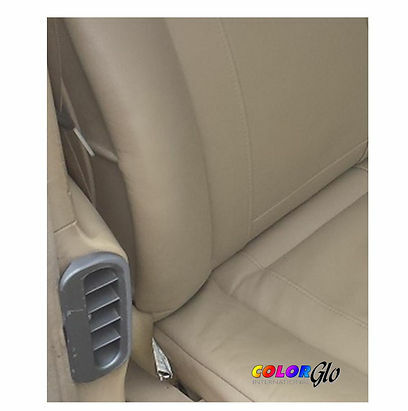 These not only suffer the wear from use but also tend to get scuffed and damaged as people enter and exit the vehicle or from seat belts staying in the door jam. Color Glo ISO9001 systems can repair and restore these issue for you. 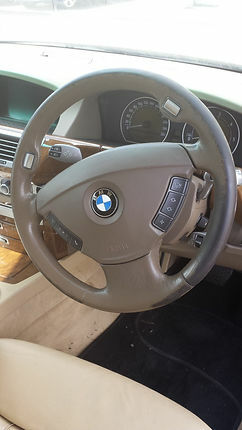 Steering wheels get a lot of wear and tear and become unsightly very quickly. Your typical multifunctional steering wheel can cost a lot of money to replace. Color Glo can restore your steering wheel to “like new” at a fraction of the replacement cost. All these restorations can add resale value to your vehicle when it comes time to change. Having trouble with bad smells?